Justin Barcia yanked a bottle of water out of a cooler sitting outside a nondescript Team Yamaha trailer. Here he was in ultra-arid San Bernardino, California, out at Glen Helen Raceway, getting ready for what was something of an ad hoc meet-and-greet orchestrated for the three-man race team that will race for the United States of America at the rapidly approaching Monster Energy FIM Motocross of Nations at RedBud. “You know, I’ve been chosen for the U.S. Motocross des Nations three times before this and always have done well there,” he insisted. “I enjoy the race, and I enjoy the pressure that is put on the USA when we do this race. I feel like I’ve handled it all well, and I can’t wait for RedBud.” So be it. A lot has gone right in 2018 for the native New Yorker, but nothing will go better for #51 than to be part of a winning American Motocross of Nations team. And Barcia deserves it: 2012 in Belgium; 2013 in Germany; 2015 in France, Bam Bam has always answered the call, and more importantly, has always risen to the occasion—he won his class in his last two cracks at the event, and won a moto overall in 2015. Barcia, Eli Tomac and Aaron Plessinger will go to the starting gate at the MXoN hell-bent on bringing the Peter Chamberlain Trophy back to Uncle Sam’s big 50. Packing it all up after a Friday morning test session at a track in SoCal, Barcia caught his breath, grabbed a cold drink, and ruminated about the upcoming race. Racer X: Justin, what have you been up to this bleached-out Friday afternoon in the Inland Empire? Justin Barcia: I’m just coming home from the track. I was out at Pala [Fox Raceway] today. It was my first day back riding since we all met up at Glen Helen a few days ago. I felt good out there today. It was both interesting and intriguing to check out you, Eli Tomac, Aaron Plessinger, and most everyone else who will be involved in the American Motocross of Nations effort. What did you make of the day? It was really cool. The team said, “Yeah, we’re going to have a test at Glen Helen with everyone that is on the Motocross des Nations team.” I thought, This is the first time we’ve ever done this pre-race. When we traveled to the Motocross des Nations overseas, we used to kind of meet up at a track before, but this was unique. It was cool to have the whole team together. We had the track rented out and it was good to get that feel of the whole team being there, and it’s looking good. Yeah, while we were out there I was able to speak with you and Plessinger, who will be your teammate with Yamaha’s 450 program next year. I was also able to catch up with a number of Yamaha team members. 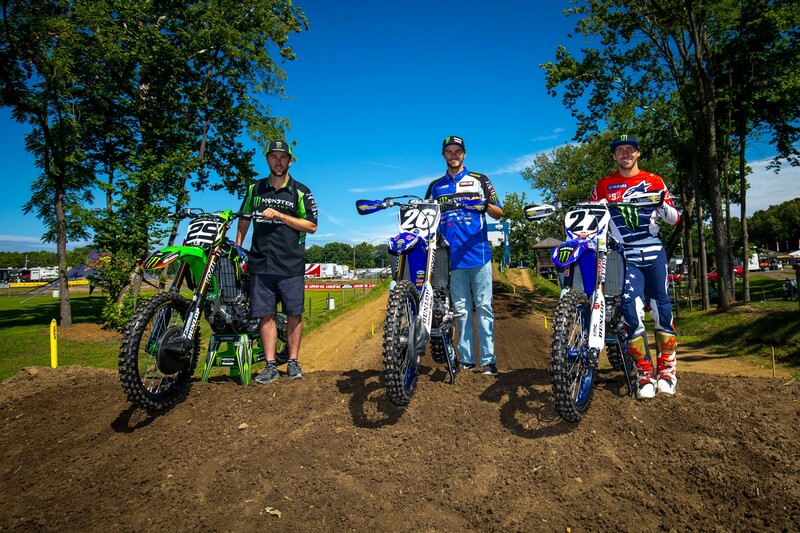 It was pretty evident that you and Aaron are happy to be Yamaha teammates at the RedBud Motocross of Nations. Yeah, for sure. It’s a good atmosphere at Yamaha right now. I mean, everything is really in place, and I like Aaron as a person a lot and I think he’s a great racer. I’m getting a little bit older and he’s a bit younger, so I think it’s going to work out well where he will keep me on my toes, and maybe some of my expertise can help him. Who knows? All in all, I think our personalities mesh pretty well, and I think he’s going to be a really fun teammate to have. Roger DeCoster mentioned to me how impressed he was with the way you, Aaron, and Eli rode at the RedBud National last July. RedBud is a circuit and venue you like quite a bit, isn’t it? The Motocross of Nations. You’ve competed for Team USA in 2012, 2013, and 2015. You haven’t been part of a winning team, yet you’ve raced really well at the event. Do you like racing with the pressure and expectations hanging over your head at the race? I do. No matter the circumstances, fall down or get the holeshot, whatever it may be, I always go out there and give it my all. It doesn’t matter what it is because I’m just stoked to race the event. I feel like I’ve been picked for this position and I need to make the most of it, where some guys may take that pressure and kind of lock up a little bit. For me, I kind of thrive on all of this. It makes me excited and ready to go racing. Have you been able to speak with Tomac at all about the task at hand? The vibe out at Glen Helen seemed to be positive and all three of you guys seem to get along pretty well with one another. Yeah, it is a good vibe. Me, Aaron, and Eli were like, “We want to win.” Aaron won the championship this year and Eli won the championship this year, so obviously they’re great picks. There were a lot of other guys they could have picked, but I think that with my turnaround this year and my never-give-up mentality and the fact that I’ve done well at the Motocross des Nations, I think it’s a really solid team, and me, Eli, and Aaron get along fine. There is no tension and there are no issues. With the past teams I’ve rode on, there has been a little bit of a weird feeling. This year, I don’t know, it just feels good. I’ve been on the team three times and this will be my fourth time, and for some reason it just feels different this time. It just feels like everything is falling into place, and it feels right. Maybe it’s because we’re on home soil. I don’t really care what it is as long as it feels good. It feels like it is really good right now, and that’s what I’m stoked about. What did you and Roger DeCoster have to talk about on Tuesday at Glen Helen? Yeah, I always talk to Roger. I’ve been able to work with Roger a few times in the past, and talking with him at the practice track this week, he’s happy and he’s excited. Roger has always done a great job managing the Motocross des Nations team. For me, I kind of look up to Roger in a way. When I get the opportunity to work with him, I enjoy it. I kind of get a little jealous of some of the guys that get to work with him all the time because he’s a really hard worker and he has a lot of knowledge up there in his head. He’s a good dude. 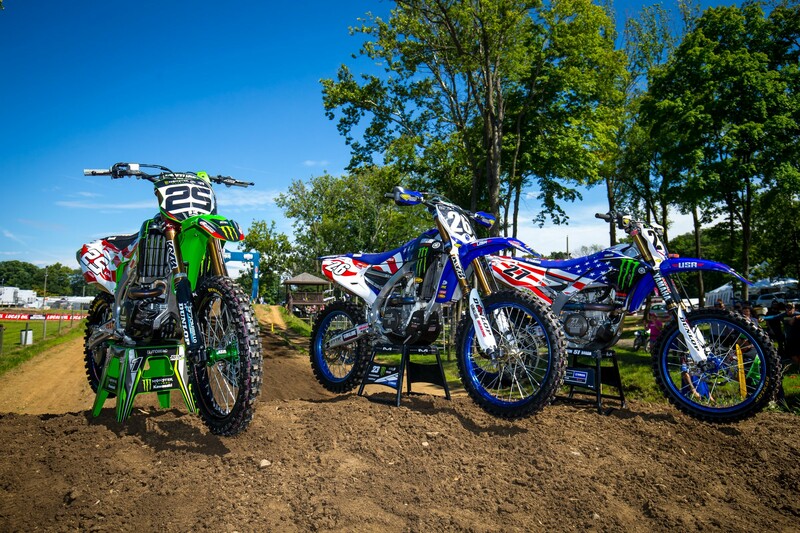 Okay, you’re slated to run the Open classification at RedBud. Have you monitored who you will be up against, and if so, what do you think? You know, and to be honest, I really haven’t looked at all that much. I’ve just been focused of being on the bike and training. Obviously, there is going to be competition. There is no doubt about that. I’m staying pretty open-minded and just kind of showing up and just focusing on myself and the task at hand. We’ll see what arises, but I know there will be some great racers. My goal is to definitely go out there and win. I want to win, that’s for sure. I want to win my class, and I’ve won my class in the past. All in all, I believe that I can do it this year. There is no doubt in my mind. It’s definitely a team race and we’re going to go after it, and we want to beat them all. The overall end result is more important than the individual moto scores, huh? At the end of the day, it is a team race. I think people just want to blow up the whole Eli and [Jeffrey] Herlings thing. People want to make it exciting. That’s fine and dandy, but at the end of the day, we are there to accomplish a goal. I don’t think any one of us Americans are going to do something stupid to risk the overall goal. I’ve always went to the race and rode smart, but aggressive and fast and have never really thrown it away. If I feel that I can win the race, I’m going to win the race. However, at the end of the day, we have to be smart and fast and get it done with the overall. I’ve been fortunate enough to talk with you quite a bit in the past year. And to that end, what a difference a year has made in the racing life of Justin Barcia. I never look too far ahead of things, but I’m very proud to be in this position that I’m in now. Last year, it was a pretty rough spot for me about this time. I wasn’t sure what I was going to do; I wasn’t sure if I was going to keep racing after the tough couple of years that I had with injuries and stuff like that. Yeah, it’s incredible the situation I’m in right now. I’m just really happy, and I can’t thank everybody who has given me these opportunities enough. It was like a door closed for me and some people around me went away. There was a small group that stayed around me and there were some old friends that were there, and we just put something together. Mentally, I started having fun again and it just came back. It was really cool the way things worked out. Pretty cool. There is a lot on the line and just can’t wait to go to RedBud and get things started. Enough talking about it, right?! I’m just ready to race! Sign up for our newsletter and never miss a sale or new product release.